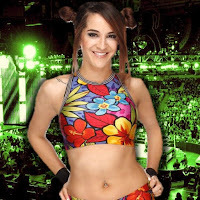 Dakota Kai spoke with Stuff about appearing at WrestleMania, making it to WWE, and staying at the top of her game. "It's still hard to believe that happened. Us girls involved found out literally the night before. Before I went down the ramp towards the ring, someone told me that it's going to be overwhelming, it's going to be insane but just take a moment. Take a breath and absorb it as best you can, because it's going to go by like that and it really did. The whole experience was a whirlwind of emotions. Walking out in front of 80,000 people, as you could imagine, it's the scariest thing in the world. But it was really, really cool." "Being here has been my dream for at least the last 13 years. I spent a lot of that time working the independent scene so to be here is still really crazy to me. From there the opportunity to have a tryout happened and I got offered a contract. So, it's been a crazy ride, but I've never been more passionate about anything in my life. All that traveling was something I loved to do and I always, always hoped that one day I'd be given the opportunity and here we are." "It's like with any sport really. I know what we do is more entertainment, but the same thing applies. You really have to stay on top of you game because opportunities don't come to everyone. You have to keep your head in the game as well, you can't let politics side of things get to you. It's just about working hard and proving to everyone else that you deserve to be here. I have sacrificed a lot, I've moved away from my family and so much has had to take a back seat because this is what I want to do."